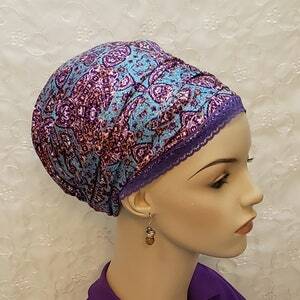 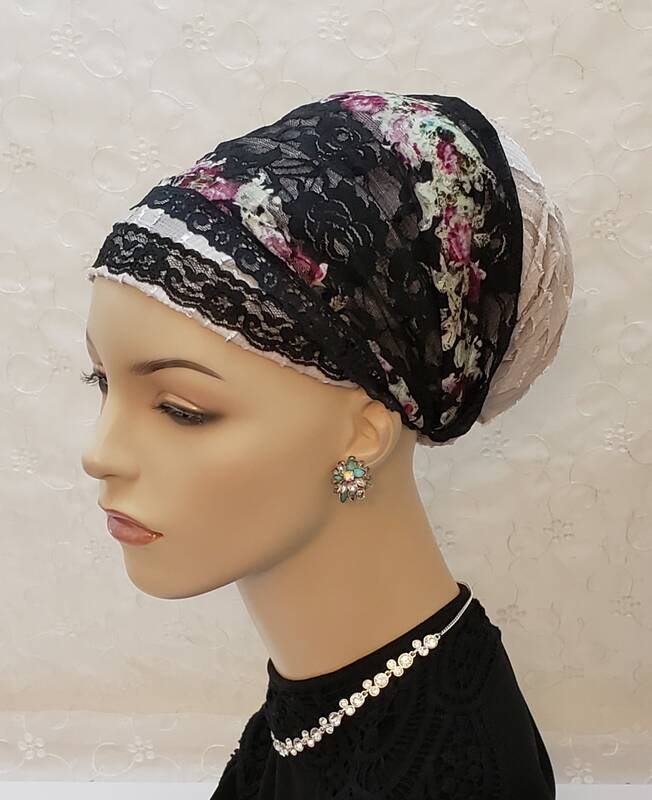 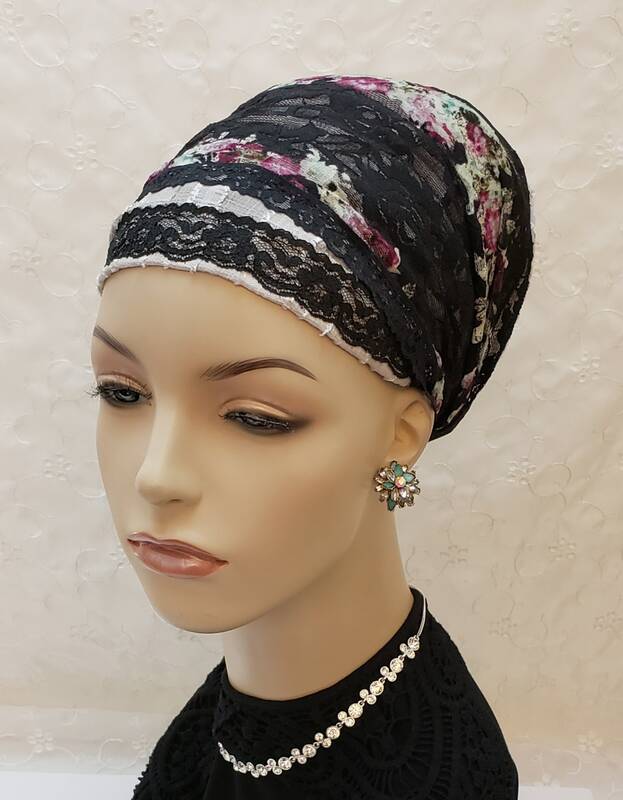 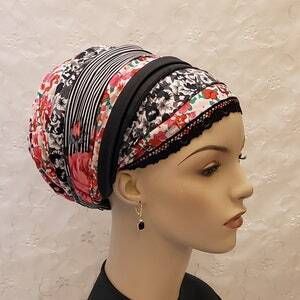 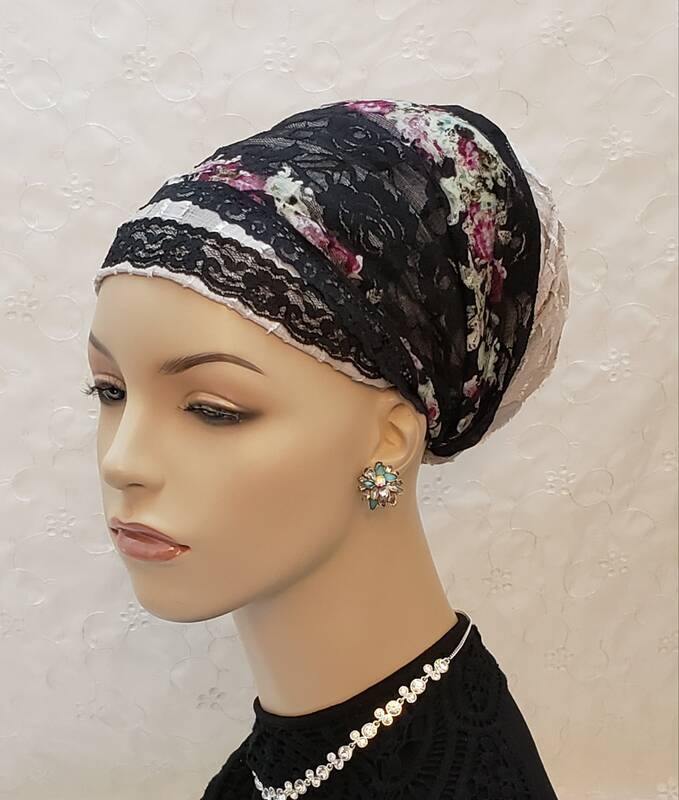 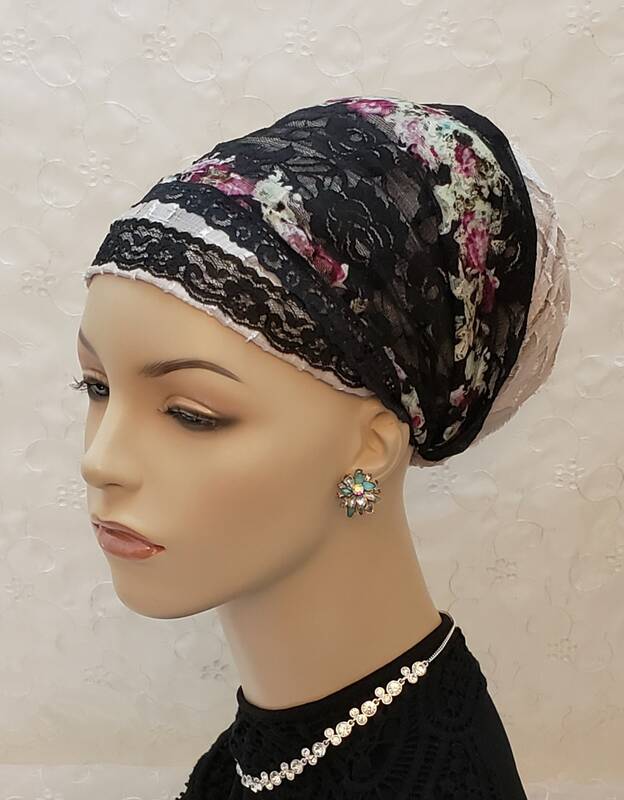 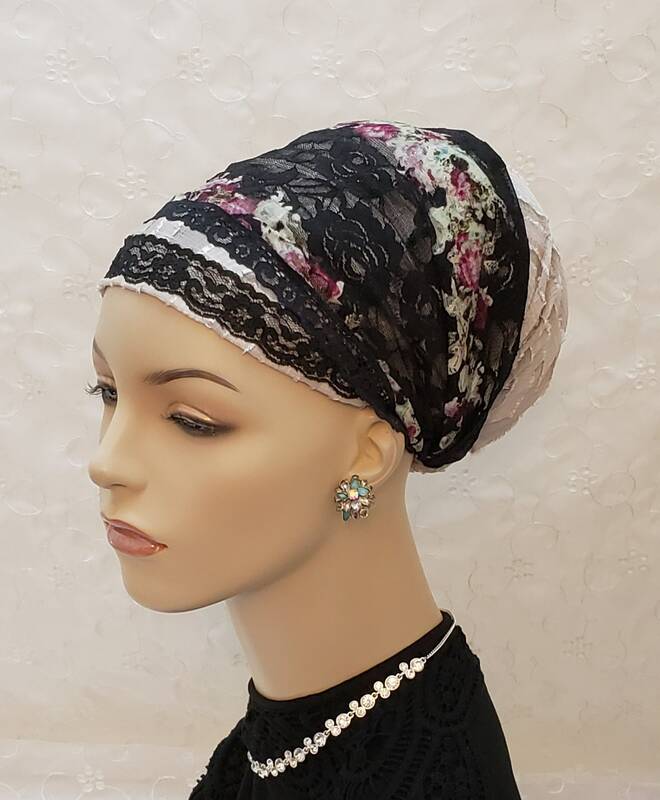 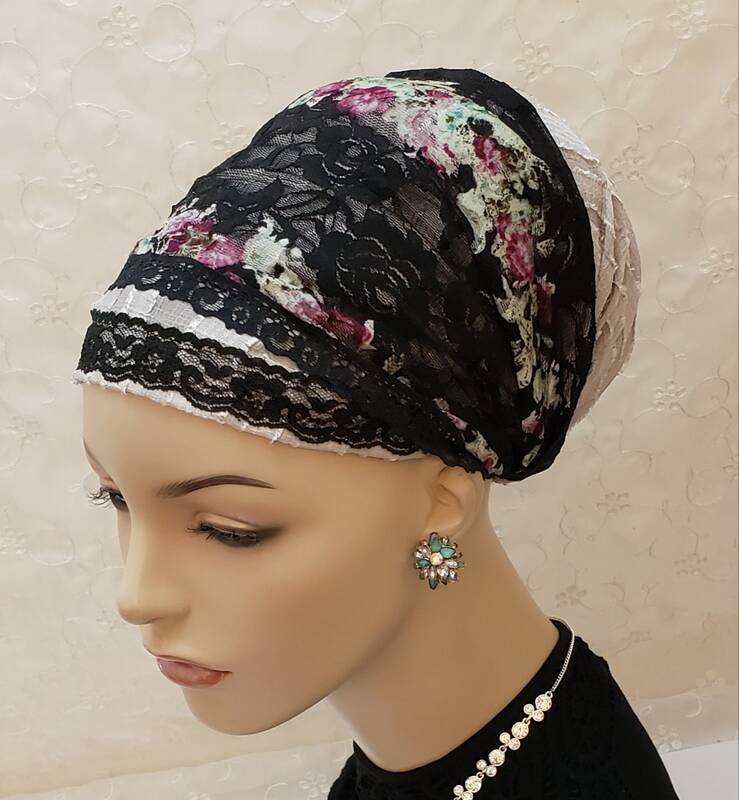 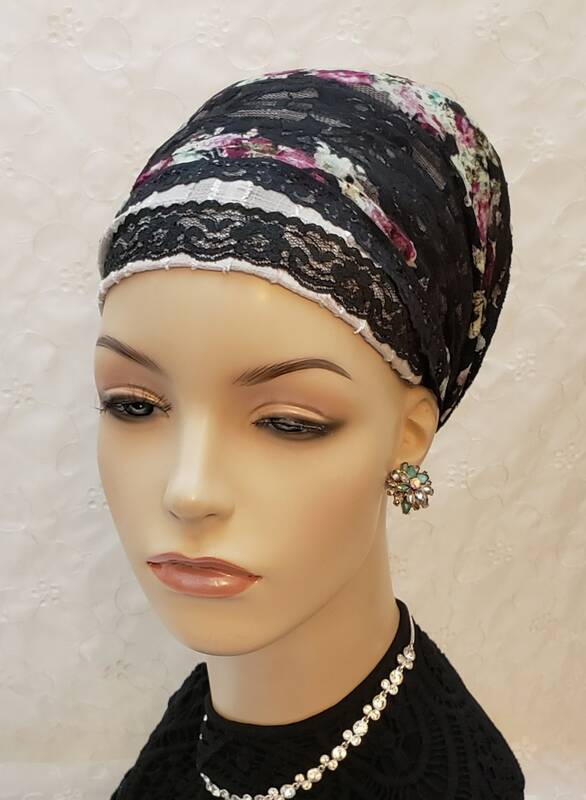 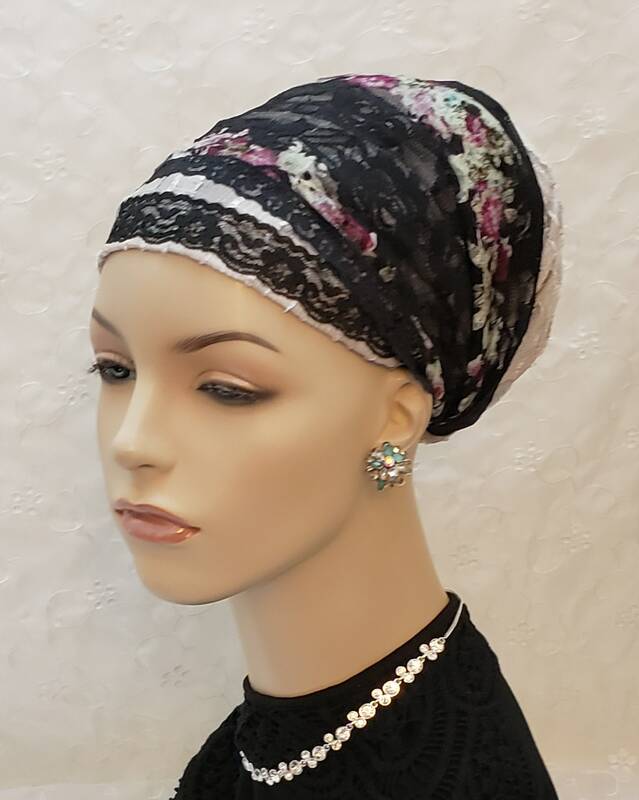 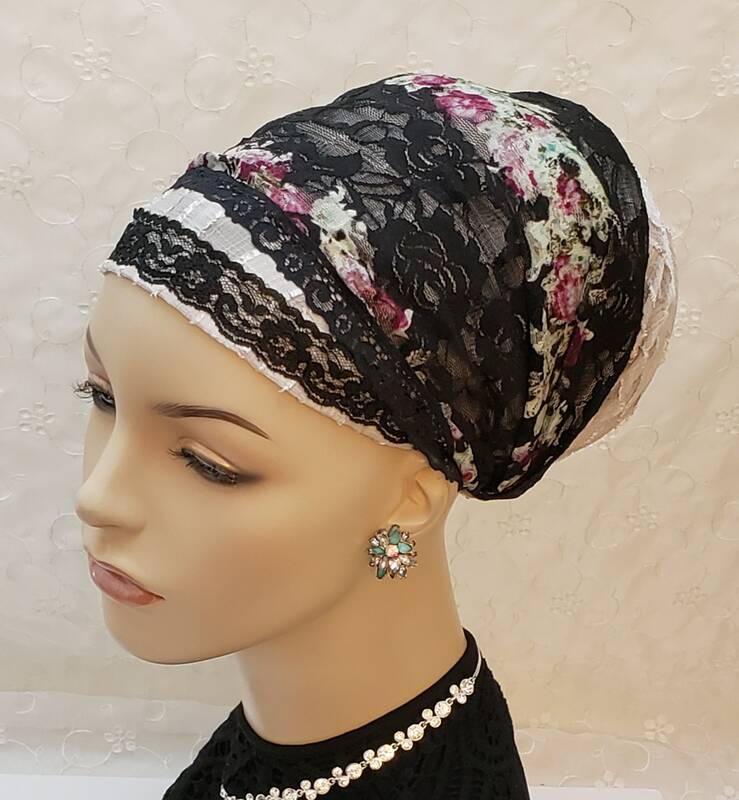 Romantic and sophisticated lacey sinar tichel! 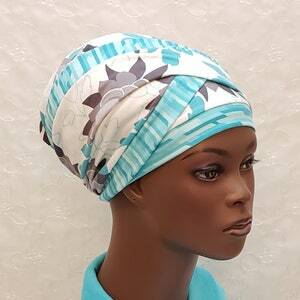 The soft cool beige base features pretty striped monochromatic textures which add uniqueness and elegance. 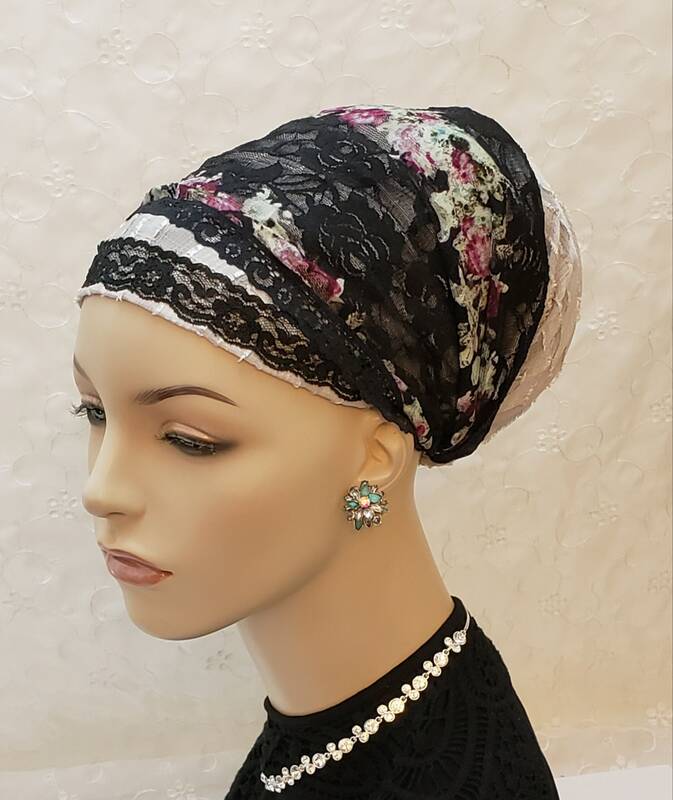 The main crossover tie is stunning with rich roses among a black rose background. 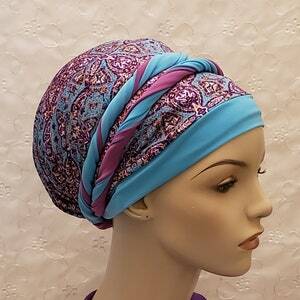 Scarf is worn over a black volumizer.